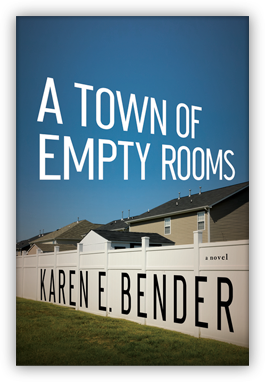 Karen E. Bender, author of A Town of Empty Rooms, agreed to be interviewed by email. In her remarkable novel,a Jewish family moves to the South after the heroine, Serena Hirsch, steals $8,000 worth of jewelry on her boss’s corporate credit card in Manhattan during a breakdown over her father’s death. Serena is fired and blacklisted, and her husband, Dan, finds a job in Waring, North Carolina, which feels like a foreign country to them. Mirabile Dictu: What inspired you to write the story of Serena and her family? 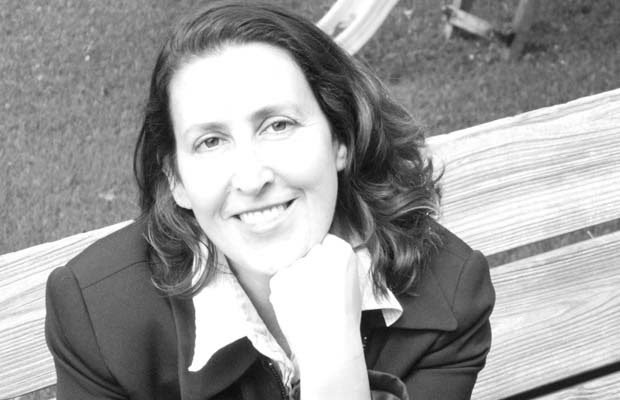 Karen E. Bender: To misunderstand someone and be misunderstood are such common human experiences; We all live with such different narratives and histories rolling through our heads, we all process our immediate interactions very differently, and it can be difficult to step back and think about what someone else is saying or feeling. How do we reach out through our solitude? I wanted to delve into the ways people don’t connect and also how they do, both looking at people who are very close to each other, and also between people who are mostly strangers. Mirabile Dictu: Religion is a refuge for Serena, though not for her husband, who attempts to be super-conventional and even disavows his Judaism. Was it difficult to write a novel “about” these different attitudes to religion? particular and strange and interesting. Within my own family, I see an array of ways people connect to their Judaism and can find it comforting or disavow it. Religion evolved, partly, to help us process life cycle events—birth and adolescence and marriage and aging and death. Serena and Dan both experienced recent losses, and I thought it would be interesting to see how each used a different sort of religion or institution to comfort or distract them. For Serena, it was the Temple, and for Dan was the Boy Scouts; but each strategy had its own complications. Mirabile Dictu: When and why did you begin writing? Karen E. Bender: I began writing when I was six years old, after a rock flew through the air and hit me on the head at a birthday party; writing became a way to process this rather upsetting event. Writing then became a way to release feeling, to shape an experience, to invent the world in a wholly new way. And writing is one of the few places in our culture where we can be completely honest, even (in fiction) while lying. To me, that is the most sacred element of great writing; the fact that honesty gives you a way to connect with another person; a good story is this amazing bond with someone. I find that so moving. Mirabile Dictu: Do you write on paper or on computer? Karen E. Bender: I write on a computer. Mirabile Dictu: Who are your favorite writers? Karen E. Bender: There are so many! Some who I read over and over are Philip Roth, Alice Munro, Flannery O’Connor, James Baldwin, Cynthia Ozick, JD Salinger, Stanley Elkin, Lorrie Moore, Grace Paley. For A Town of Empty Rooms, John Cheever, Paula Fox, and Richard Yates were especially nourishing. I love those beautiful, dark realists. Thank you for the interview, Karen! Born in L.A., Karen went to the Iowa Writers’ Workshop, where she met her husband, the writer Robert Anthony Siegel. She is the author of two novels, Like Normal and A Town of Empty Rooms, and is co-editor of the nonfiction anthology Choice: True Stories of Birth, Contraception, Infertility, Adoption, Single Parenthood, and Abortion. She and her family live in Wilmington, North Carolina. This entry was tagged interview, Karen E. Bender. Bookmark the permalink. I do like these little interviewettes you do Kat – they’re a great intro to new writers! She’s a wonderful writer. No idea if she’s available in the UK, but she should be! Her book has been on my TBR. Now I just have to get to it. It’s so good, Cynthia. I’m always glad to discover a new writer, and she is remarkable!